The Heads Up Youth Foundation is dedicated to improving the lives of disadvantaged, at-risk and foster youth. We raise funds to support young people affected by disadvantaged financial and family backgrounds, those who lack the basic necessities and educational opportunities in life. Our goal is to build confidence, instill hope and enrich lives. 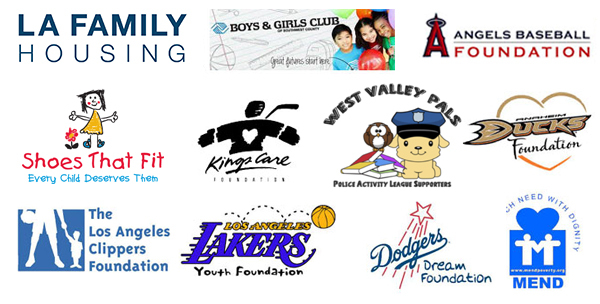 The Foundation assists sports and youth organizations that improve the lives of our youth. Through youth-centered activities, whether it may be educational, recreational and/or mentorship, the youth are provided with a positive and safe learning environment. An environment in which they are provided the tools and resources needed to become inspired and to discover a future filled with endless possibilities so they can realize and achieve their goals and dreams. Our work is made possible by the combined efforts of our generous donors, sponsors and volunteers. Together, we can make a difference one child at a time! For over a decade, the Heads Up Youth Foundation has been supporting teens in the Los Angeles foster care system. Each year, the Los Angeles County Department of Children and Family Services hosts Celebration One, a graduation ceremony honoring the academic achievements of high school seniors in foster care. The ceremony is not only about academic achievement but recognition of these youth triumphing over adversity. During the ceremony, scholarships are presented to the graduates to further their education at an accredited college, university or vocational school. The Heads Up Youth Foundation takes part by funding scholarships to a designated number of recipients based upon their grades and an essay submission. The scholarships are renewable, every year for four years, as long as the recipient meets the requirements. Youth from poverty stricken families face many challenges on a day-to-day basis. Showing up on the first day of school without the necessary tools can make a child, not only feel out of place and embarrassed, but puts them at a disadvantage from the very beginning of the new school year. ln August of 2016, the Heads Up Youth Foundation hosted their inaugural Back-to-School Backpack event at Lankershim Elementary School in North Hollywood. Lankershim Elementary is a Title 1* school in the LA Unified School District serving over 500 students. 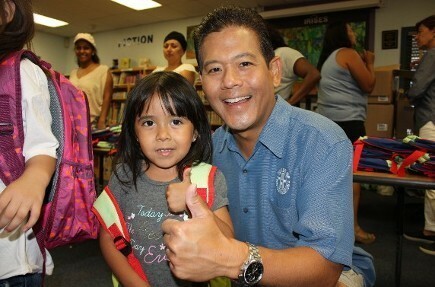 The Back-to-School Backpack event was put together to ensure underprivileged youth would be well equipped with the essential tools needed for academic success. Not only does this help to ensure preparedness for the new school year, but it gives the youth a sense of confidence and pride and gets them excited about their education. During the event, the children are able to participate in a fun shopping experience. 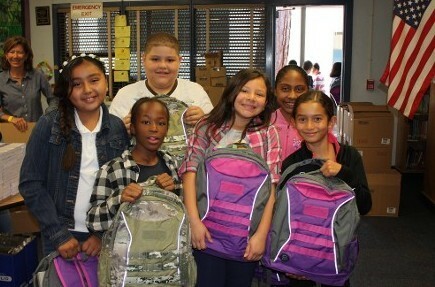 Each child selects their backpack of choice and visits each of the supply stations to fill their bags. The stations consist of a variety of items such as notebooks, folders, paper, writing instruments, art supplies, etc. To view additional photos from this event, please click here. *Title 1 is the largest federally funded educational program. The program provides supplemental funds to school districts to assist schools with the highest concentrations of poverty to meet school educational goals. The funding is used to help students who are at risk of falling behind academically. According to the U.S. Department of Education, the purpose of Title 1 funding "is to ensure that all children have a fair, equal, and significant opportunity to obtain a high quality education and reach, at minimum, proficiency on challenging state academic achievement standards and state academic assessments. The Heads Up Youth Foundation, Inc.